Ryan, Partridge, Lynch, O Cearuill, Rogers, Gavin, Kirby, Fahey, O'Brien (Bialek 84), Guy, Quigley. Doherty, McCallion, Hutton (Morrow 76), McChrystal, Higgins, McHugh, Dennehy (McGinn h/t), Deery, Molloy (Farren 65), Delaney, Stewart. 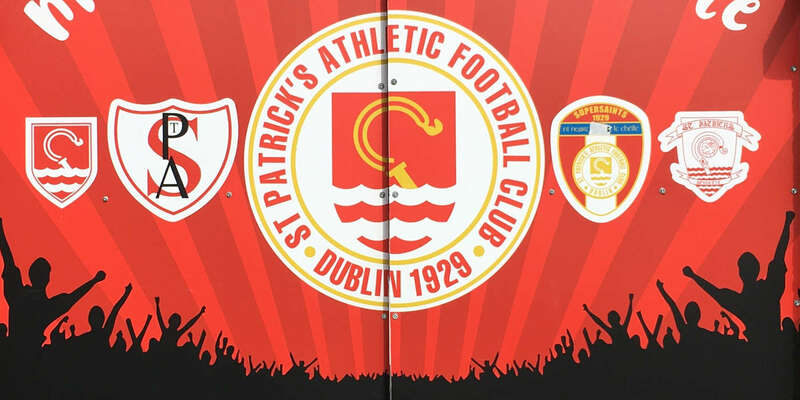 St Patrick's Athletic secured second place in the Premier Division table with a hard fought 2-1 win over Derry City at Richmond Park writes Mark Cummins. Keith Fahey, playing in possible his last home game for Pat's before his expected move to England, opened the scoring on the stroke of half time and Mark Quigley made sure of the win with a penalty on 84. Mark Farren netted a consolation in injury time. In a slight west-east drizzle, there was little for the dismal, end of season, crowd to get excited about early on. Derry's Billy Dennehy picked up a yellow card on four minutes for a tackle on Damien Lynch. A minute later Lynch had recovered to blast a shot high over the crossbar while Barry Molloy should have done better for Derry with his effort on 15. The drizzle turned into a horrendous downpour around the twenty minute mark, leading to the surface becoming very slippy and the play sloppy. The one bright mark on the pitch was the performance of Pat's captain for the night, Fahey. Soon to depart for whichever English club's bid is accepted, Fahey had a great night. Taking a free kick one minute, and then darting to the corner ahead of his team-mates to take a corner; and sliding in to keep a ball in play when the average player would have seen it as a lost cause. How they will miss him when he is gone. Pat's did have the slight upper hand and one of their best moves of the match came on 34 minutes when Jason Gavin's clearance from the back was headed on by Mark Quigley for Ryan Guy to chase. The Derry defence saw the potential in the attack and Guy was soon outnumbered. 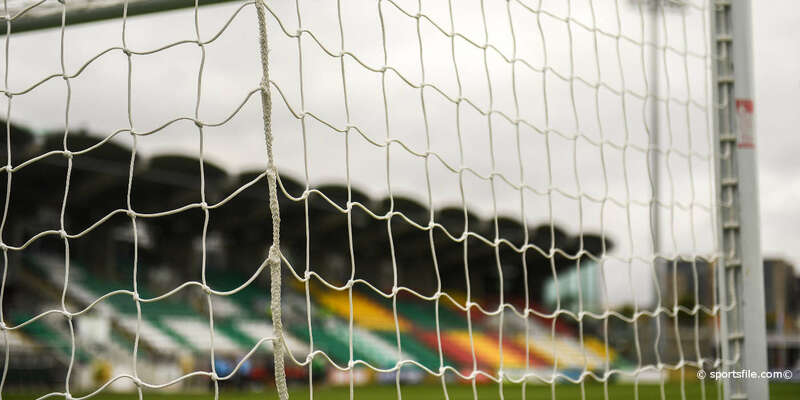 Pat's continued the pressure and deservedly took the lead on 39 minutes when Fahey played a one-two with Alan Kirby from a short corner and then curled a rasping shot through the Derry defence and into the bottom left corner of Ger Doherty's net. Doherty then prevented Pat's from going two up as the clock hit 45 minutes when he pushed Guy's shot over the bar. The rain eased off for the second half and Pat's continued to have the best of the play in the second period. Apart from a Molloy chance there was little for the visiting fans to cheer. One highlight was a blistering Kevin Derry shot on 64 minutes but Barry Ryan was well placed in the Pat's goal to make the save. Quigley made sure of the win on 84 minutes from the penalty spot after Fahey's flick had glanced off the arm of Mark McChrystal before Farren netted a close range equaliser for Derry in the third minute of injury time which proved the last kick of the game. 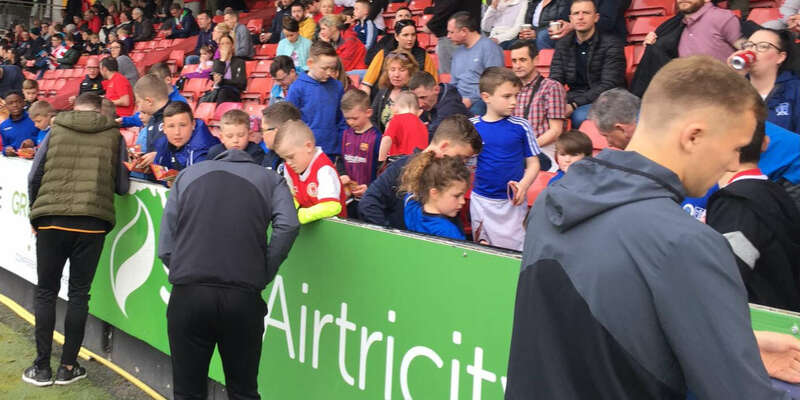 Derry must settle for third in the table and an appearance in this month's FAI Cup final against Bohemians, whose manager Pat Fenlon, was an interested spectator.